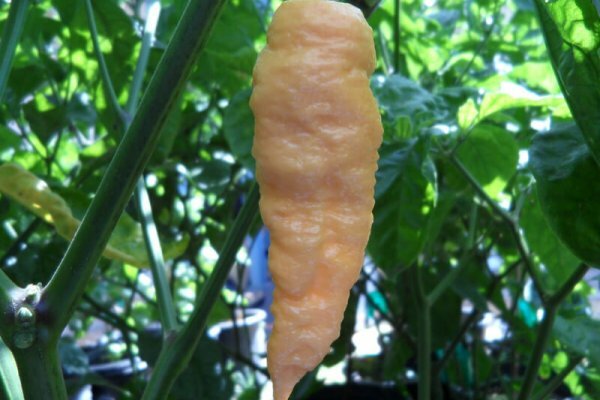 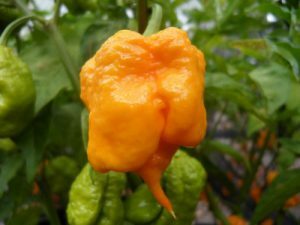 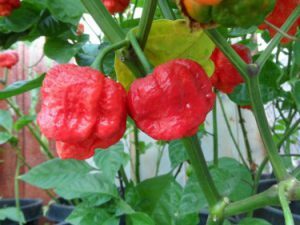 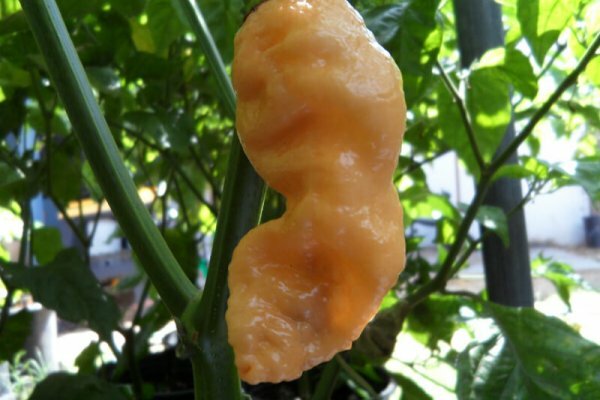 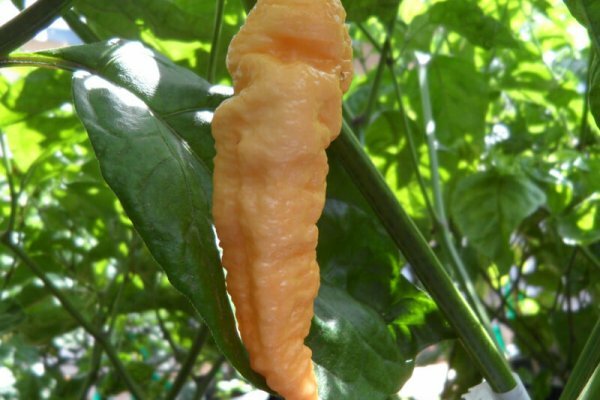 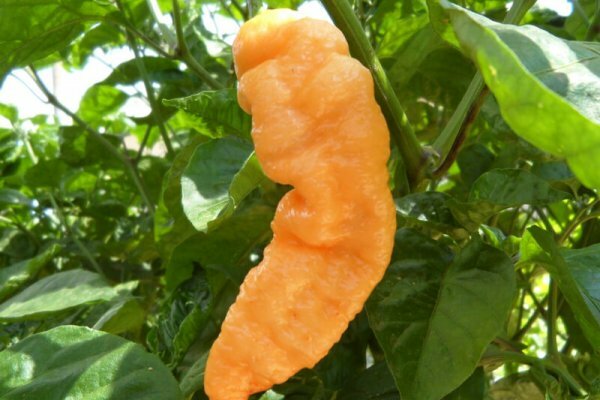 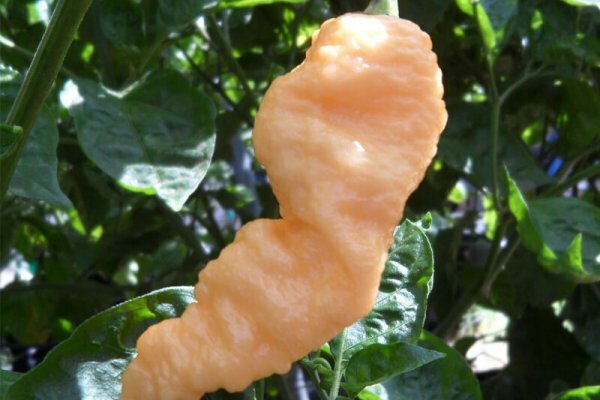 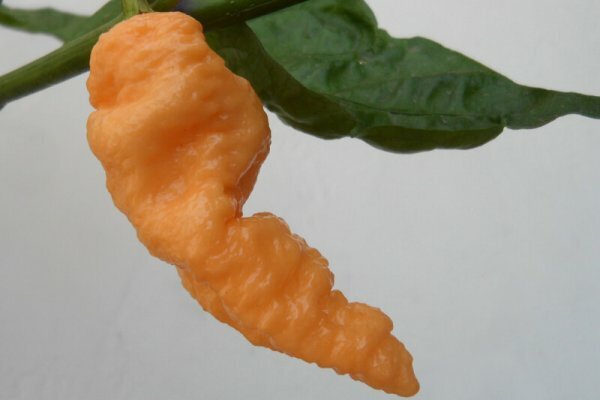 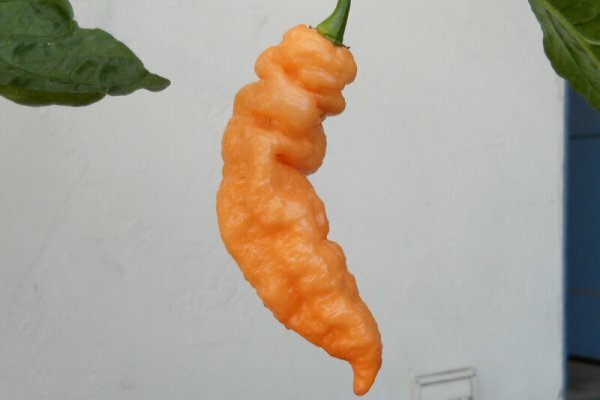 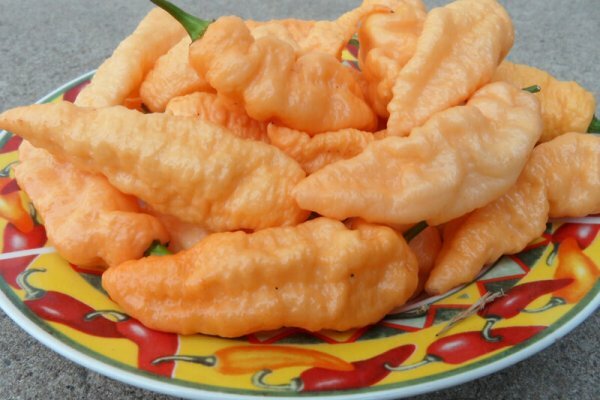 The Peach Bhut Jolokia is the natural variant of the red Bhut Jolokia or Ghost chile. 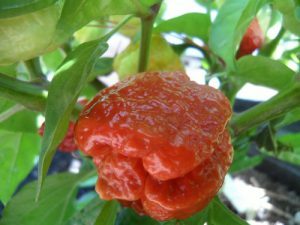 The chil eplants produce peppers that are elongated pendant pods that get up to 6 inches in length although average is about 4 inches. 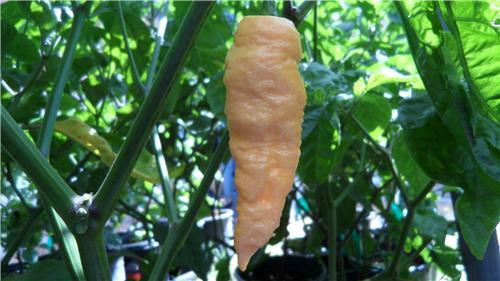 They ripen from green to a light pink color and will get a slight light orange color if left to ripen too long. 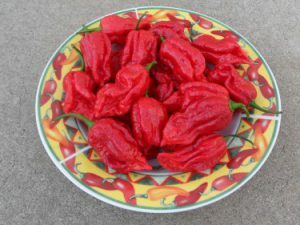 The heat level is extreme and they are just as hot as the red version. 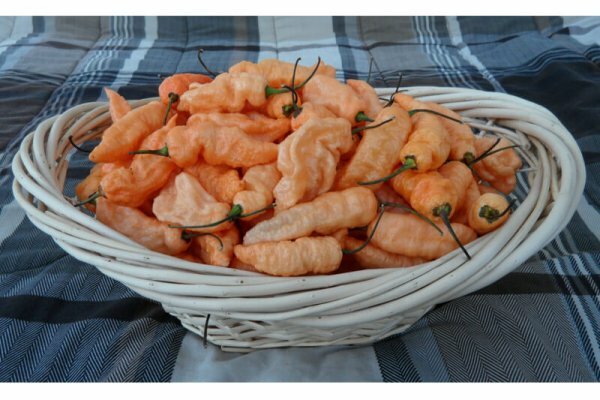 However they have a more smoother slightly fruity taste.